Join Paul Hatrak, certified business coach on Wednesday, December 10 from 9:30 a.m. to noon at the Parsippany-Troy Hills Library to understand your own behavioral style, recognize the behavioral style of others and adapt and blend your style for more effective communication. By not tailoring activities to each person’s style, you may be missing out many opportunities to strengthen personal and professional relationships. Paul will lead an interactive discussion to help understand the universal language of DISC – Dominance – Influence – Steadiness - Compliance. President of Hatrak Associates, LLC, Paul Hatrak has combined his 20-plus years of business and leadership experience with the results-based content and expertise of Brian Tracy, one of the world’s best known business coaches. Paul holds a B.S. in Accounting from King's College and is a CPA, licensed in Pennsylvania. He is also a licensed Property & Casualty, Health and Personal Lines Producer in New Jersey. 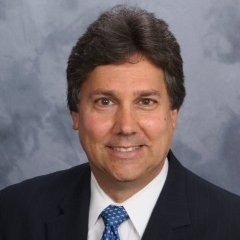 Paul is a member of the American Institute of Certified Public Accountants (AICPA), New Jersey Society of Certified Public Accountants (NJSCPA), Financial Executives International (FEI), and served on the board of the Morris/Essex New Jersey chapter of the institute of Management Accountants (IMA). He is also avid networker, connector and golfer.